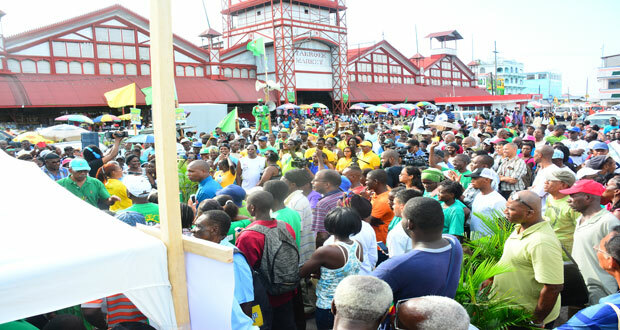 In Guyana, life is a continuous struggle for survival, especially for the poor and the working class. The struggle is oftentimes punctuated by spells of frustrations and suffering as a result of neglect by the authorities. Giving up on their dreams and aspirations should never be an option. Guyanese from all walks of life and from various ethnic backgrounds have big dreams and ambitions, but limited means to achieve them. The struggle is made even more difficult when those things they seek to achieve remain elusive, not because of their own failures, but because of the sloppiness of others, especially those who are in positions to lead. Despite all the financial and economic problems facing the country especially with the sugar and rice industry, Guyana has an abundance of natural resources, arable land, mineral deposits, natural ports and a young and educated population to move the country forward. News Americas, WASHINGTON, D.C., Mon. June 8, 2015: Dirty money flows are “pervasive and pernicious in the developing world” and one Caribbean nation has cracked the top 25 list globally, seeing a high illicit financial outflows compared to total trade. It is brutal, heartless and disgraceful and it happens in oceans of despair. It has been called slavery of the 21st century, an emergency and a crisis that defies description. The Mediterranean boat crisis continues to grab the attention of the world as politicians scramble to devise solutions. There was a time when the boats ferrying souls seeking a better life would disappear in the seas with little thought given to them. But these are modern times with the social media bringing to our doorsteps the plight of the boat people. The middle-class is feeling an income squeeze as economic policies continue to fuel inequality. Guess where the money is going as the middle class is disappearing and slipping into poverty? 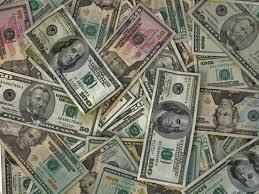 Already the richest country in the world, the United States reached its highest cumulative wealth ever in 2013. It ranked fourth in the world in wealth per person, with $348,000 for every American adult. 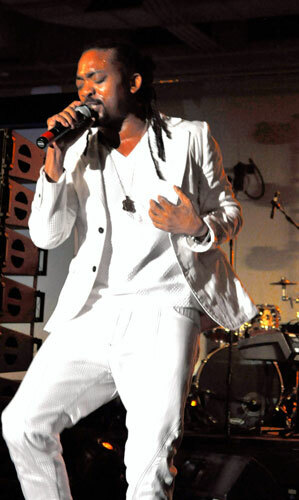 Trinidad and Tobago superstars David Rudder and Machel Montano on June 6 joined artists at the UN in a global message of hope for a better future in the year 2015 and beyond. Wearing a white ensemble, Montano’s energetic performance got the audience to their feet and to the front of stage where he wowed guests with his chart-topping hits, calling on leaders to end hunger in the world. Why is India Still Poor? In March 2012, the Indian Planning Commission stated that 29 percent of India’s population was poor. These were people who had less than Rs.22.42 (US $0.41) a day if they were living in villages, or Rs. 28.35 (US $0.52) if in a city. The Commission’s happy conclusion was that poverty had fallen from 37 percent since its last measurement in 2004-05. It is difficult to decide which is the more remarkable figure here. The fact that more than six decades after India gained independence, and after two decades of some of the highest economic growth rates in the world, almost a third of the country was still poor—or the fact that India’s highest planning body actually considers anyone earning more than $0.52 a day as not fitting into their definition of poor. Activists pointedly asked the government economists if any of them could live on that amount in New Delhi; the response, of course, was a resounding silence. Editor’s note: The following video and article highlights the issue of poverty in Jamaica, and notes that child pregnancies and lack of education, training and employment perpetuates poverty. This is not news as these are the same issue in many countries of the world, including Guyana. FINANCIAL analyst Karen Fitz Ritson has pegged Jamaica’s rising poverty level to the shrinking age of parents. Speaking at the weekly Observer Monday Exchange at the newspaper’s head office in Kingston yesterday, Fitz Ritson — chief executive officer of Fitz Ritson and Associates, a professional training institute — said the issue of children having children must be tackled if poverty alleviation efforts were to have any success at all. 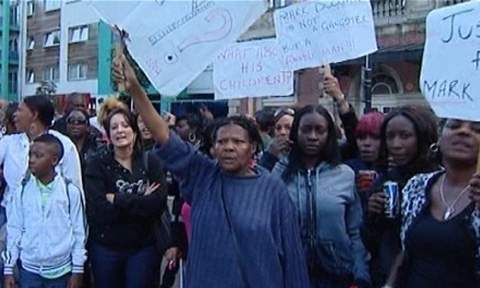 Last Thursday night, in circumstances that remain unclear, police shot dead Mark Duggan, a 29-year-old black man. The next day, a group of 200 protesters gathered outside the police station in London’s Tottenham district, demanding an explanation. In the hours that followed, the peaceful protest somehow disintegrated. Four days later, after rioting and looting spread first to other poor suburbs but then reached wealthier areas Monday in the worst civil unrest Britain has seen in years, Britons were undertaking a national debate over the pervasive poverty and unemployment that many think have fed the disturbances and what role the country’s austerity drive has played in making matters worse.